“Saturday Night Live’s” Thursday edition actually took President Obama to task for the shoddy state of the American economy. Of course, the sketch had to squeeze in a slam against Mitt Romney. Not bad. It’s almost as if the show’s writers ignored the mainstream media’s hard-left bias for one entire afternoon and read the cold, hard, depressing job statistics. 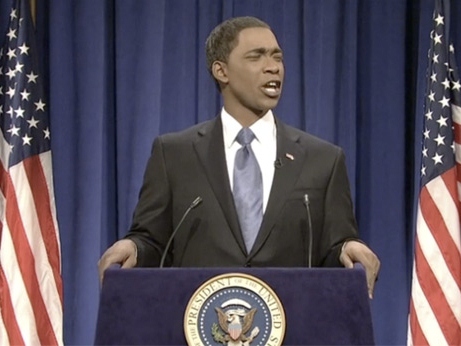 The skit wraps with Jay Pharoah’s Obama reassuring faithful “SNL” viewers that a Romney administration would be even worse on the economy. It’s as if the show couldn’t slam Obama without a big, fat asterisk attached.